Welcome to Katfrog's Corner: Beware!! It's the Marietta Zombie Walk!!! Beware!! 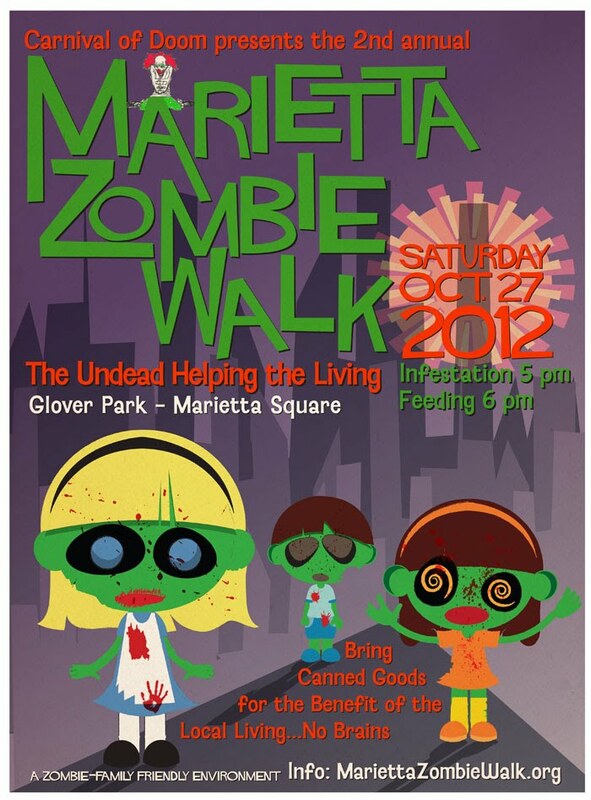 It's the Marietta Zombie Walk!!! thanks for the shoutout. Hope to have you back in the horde this year. 10.27.2012 MariettaZombieWalk.org BE PREPARED! BE VIGILANT! !